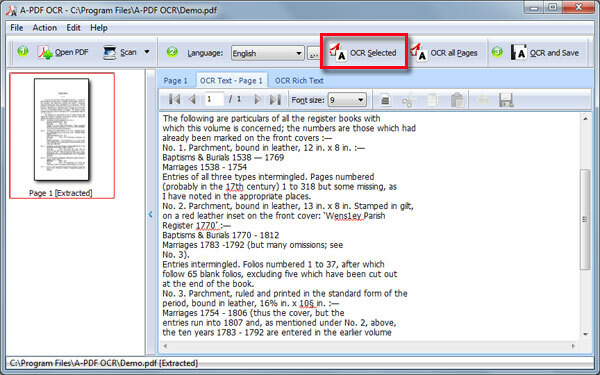 How to convert Extract Text from uneditable scanned PDF and images by using A-PDF OCR? I am a web master. Now I want to enhance the website by using the text from scanned PDF and images. 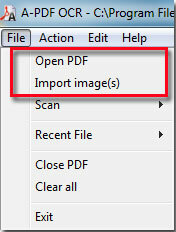 You know that extract text from an uneditable scanned PDF and images are not too simple, also not too difficult. I am looking for a tool for helping me extract text from those uneditable documents. A-PDF.com is a famous PDF tool website, I want to find the suitable one but there are too many, can you recommend a tool? 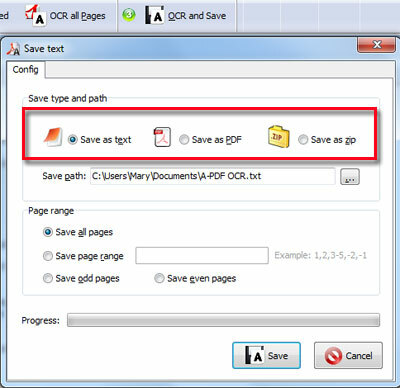 Save the output text as text/PDF/zip format.